* Since the Suntrust Park project was announced, several key companies have chosen to remain in Cobb and to expand their footprint in the county and in the Cumberland District specifically. This means jobs — new jobs — that are not directly connected to the stadium itself. 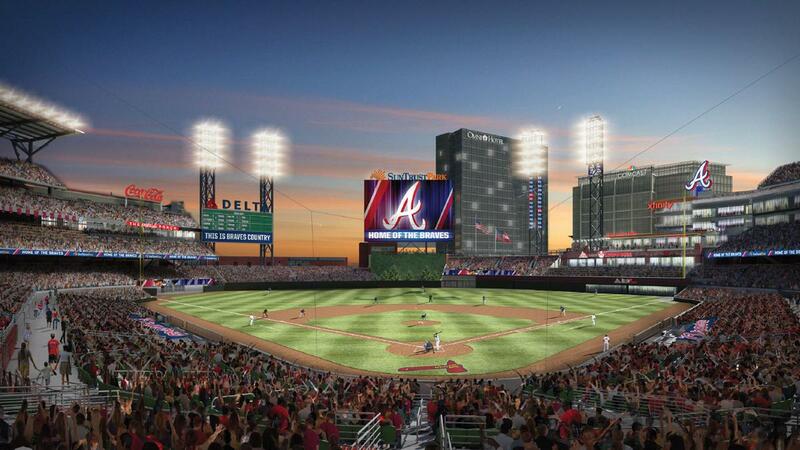 And SunTrust park and The Battery Atlanta will support more than 1,000 new jobs in the county. And we all know that jobs mean that families can afford to do those extra things that create opportunities for them and the community at large to thrive. * Traffic — the big concern — is being addressed in a number of ways. There are 14 access points to the site, which will help to disperse traffic during peak times. The new Northwest Corridor Managed Lanes project will provide express toll lanes that will flow in and out of downtown Atlanta along I-75, and the widening of Cobb Parkway from 4 lanes to 6 lanes will add additional capacity. A pedestrian bridge over I-285 will provide walkability, not only for SunTrust Park, but for the whole region, since it will connect more than 25 miles of walking trails to shopping, dining and entertainment venues previously only able to be accessed by car. This means that residents of Walton River and Walton on the Chattahoochee can walk to the venue with ease. Alternative transportation that will include shuttles from outlying parking areas to the site will also alleviate parking backup. * Last, but not least, citizens of Cobb County will have a front row seat to one of the most highly technological facilities in the world and one that is the first of its kind — a truly live, work, play environment. So, take me out to the ball game! I'm ready to go!